Phoebe Bracken in Current Affairs Environment on 1 December, 2018. The Anthroposphere Climate Change Journal launched in Durham over the weekend and paths the way for student journalism and publishing. 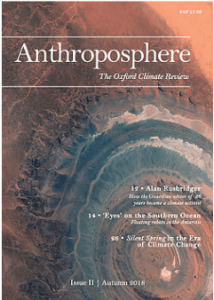 Anthroposphere is a student-led magazine, founded at Oxford University, and now has a global reach, with contributing authors from all around the world. The aim of the magazine is to explore and discuss climate change and environmental topics from all perspectives, helpfully breaking down conventional associations of climate change with discrete fields to study; highlighting both the inherent interdisciplinary nature of climate change as well as the necessity for climate action to come from every field. Recent articles in the magazine include “Climate Action Without War”; looking at the place of security and territory in climate action, and “Becoming Continuing Bodies”, which uses the medium of sculpture and modern art to articulate responses to climate change. These two pieces foreground the appeal of the magazine as it looks at climate change from a variety of angles; making for fascinating and thought-provoking reading. The magazine is sponsored by Bulb (a renewable energy supplier in the UK); ClimateCare (an organisation working with state governments and corporations to promote sustainable development and reduce worldwide emissions) and Climate Law & Policy (CLP) are the third sponsor (an independent corporation that aim to ensure global environmental sustainability through effective environmental governance). It is incredibly exciting for Durham University to be part of the ever-expanding network of this well-regarded review and is reflective of the growth of multidisciplinary interest in environmental issues that transcend borders. As David Grinspoon (author or ‘Earth in Human Hands: Shaping Our Planet’s Future’) aptly said: “Our most valuable resources – creativity, communication, invention and reinvention – are in fact unlimited” . 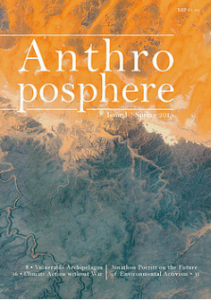 If you want to take the opportunity to have your thoughts and research published, Anthroposphere is accepting pitches for articles until 10th December for the Spring 2019 edition and encourages entries with a “fresh perspective” on a particular topic. 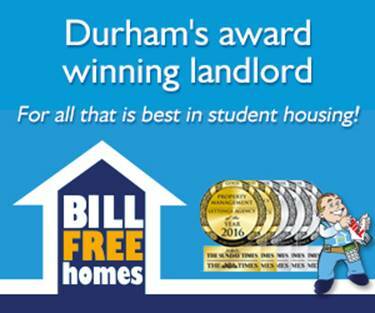 The Durham University magazine representatives: Ella Blanchard; Isabella Chalmers-Arnold; Alice Lassman; Amber Perera.